Blowout Sale! 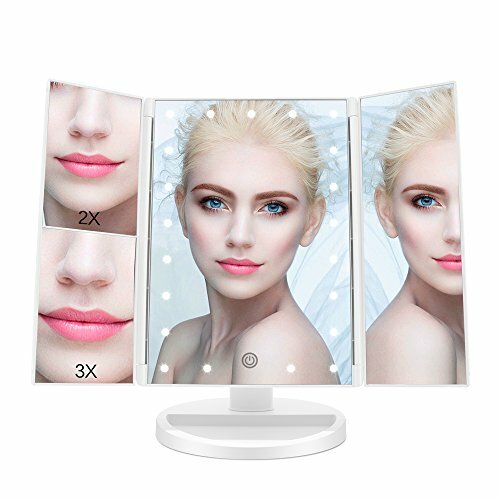 Save 56% on the FASCINATE Lighted Makeup Mirror with 21 LED Lights Touch Screen Dimming, Tri-Fold 3X/2X/1X Magnification 180 Degree Rotation Vanity Mirror (White) by ASCINATE at Baharta. MPN: Lighted Makeup Mirror. Hurry! Limited time offer. Offer valid only while supplies last. Bright Energy - Light up mirror built in 21pcs bright, soft and adjustable LED lights for you to do your makeup in the dark or poorly lit areas. If you have any questions about this product by ASCINATE, contact us by completing and submitting the form below. If you are looking for a specif part number, please include it with your message.